This is a delightful holiday home whose tasteful decor is reminiscent of the timeless country-house style. The living room leads to the covered patio furnished with table and chairs. It has beautifully laid out hedges and a fabulous view of the golf course. The master bedroom with en suite bathroom is located upstairs along with a beautiful terrace suitable for sunbathing. Flat screen TV and wireless internet access are also available. This beautiful modern villa is made from brick or stone and was recently built in 2007. The agent has rated it as a four star property so it is a well-equipped villa with above average furnishings. It is also great value for money. 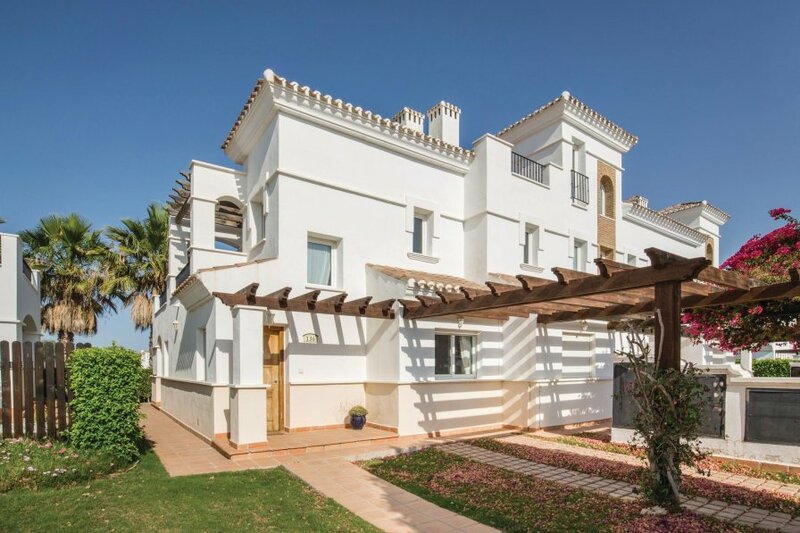 This villa has use of a shared pool and is located in La Torre Golf Resort, only 2km from Roldan. The nearest airport is only 20km away. It is set in a good location: there is a restaurant 1.3km away.